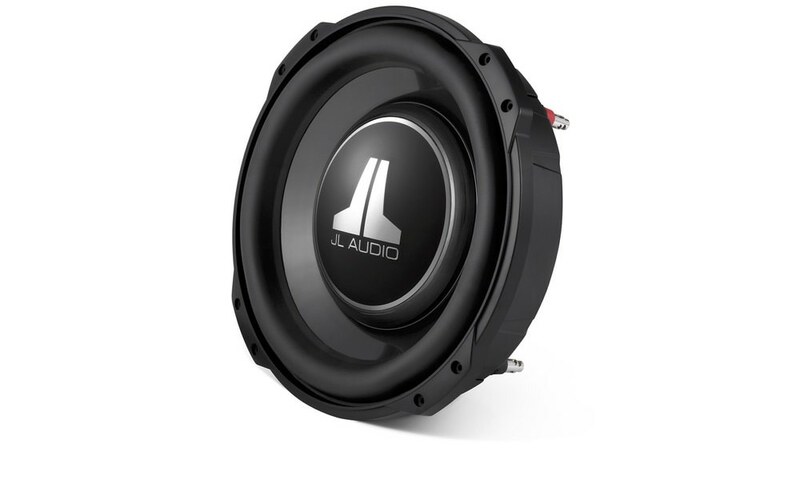 For 2012 JL Audio added custom stealth subwoofer systems for eight new cars and SUVs. The stealth boxes are virtually undetectable and uniquely designed for each vehicle to improve bass and stay out of sight. 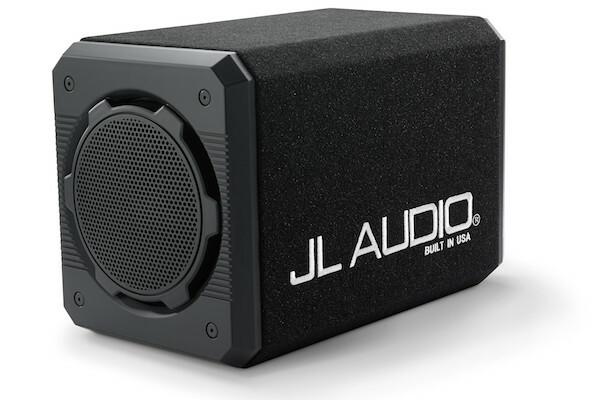 JL Audio was the first autosound company to introduce this unique product category and today makes over 140 vehicle specific models in their Florida manufacturing facility and worldwide headquarters. 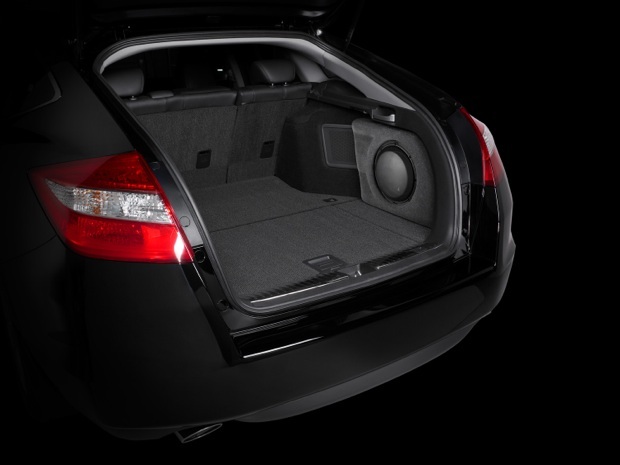 Stealthbox for the Crosstour ($649, available Q1 2012) features a powerful JL Audio 10-inch subwoofer housed in a compact, sealed, fiberglass enclosure and fits neatly into the passenger side rear corner of the hatch area. The form-fitting design conserves your valuable cargo space while still permitting full access to under-floor storage and the spare tire. It contains one 10W3v3-2 subwoofer in a sealed enclosure. 500 watt power handling. Wired for 2 ohm mono. Black steel mesh woofer grille is included. Installs in passenger-side corner of cargo area. Installation requires disabling the active noise canceling feature of this vehicle. 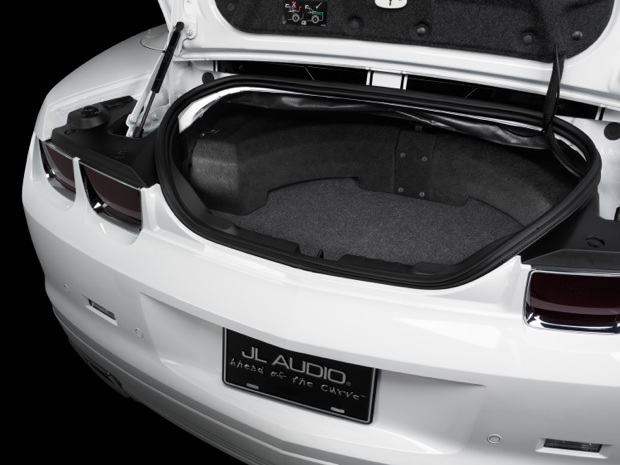 For the classic Porsche 911, JL Audio devised a low-profile Stealthbox solution ($1,799, available Q1 2012) that mounts firmly behind the rear seats on the cargo shelf. The sealed enclosure design houses two (yes, two) down-firing, thin-line 13.5-inch drivers to deliver serious low-frequency impact and sound quality. It contains two 13TW5-3 subwoofers in a sealed enclosure. 1200 watt power handling. Wired for 1.5 ohm mono. Black steel mesh woofer grilles are included. Requires removal of OEM subwoofer, if so equipped. 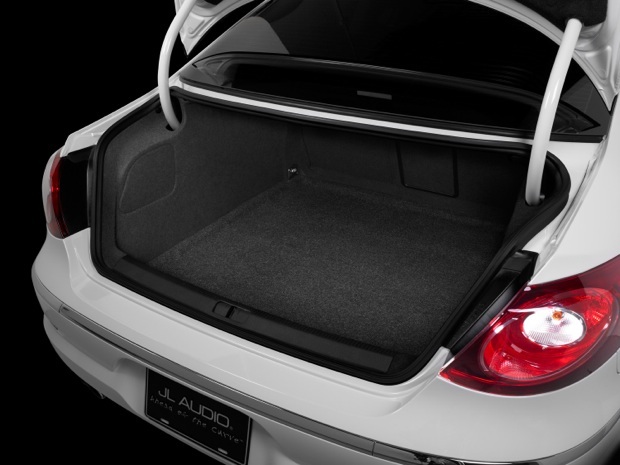 The Stealthbox for the Elantra ($699.95 features a robust JL Audio 12-inch subwoofer housed in a compact, sealed fiberglass enclosure which fits neatly into the passenger-side rear corner of the trunk. 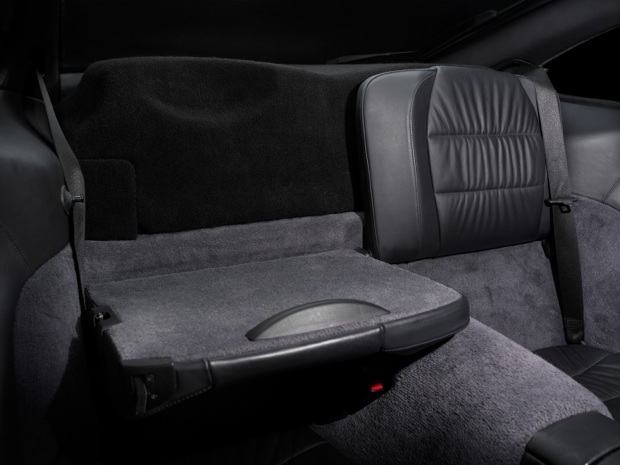 The form-fitting design conserves your valuable trunk space while still permitting full access to the spare tire. A clean-looking steel mesh grille protects your investment from loose cargo. It contains one 12W3v3-2 subwoofer in a sealed enclosure. 500 watt power handling. Wired for 2 ohm mono. Black steel mesh woofer grille is included. Installs in passenger-side corner of trunk compartment. The Stealthbox for the Durango ($1,099.95) installs discreetly beneath the rear cargo floor and features a recessed space on its top for mounting an amplifier (not included). With the factory cargo floor panel in place, the sub (and amplifier) become totally invisible, even with the hatch open. 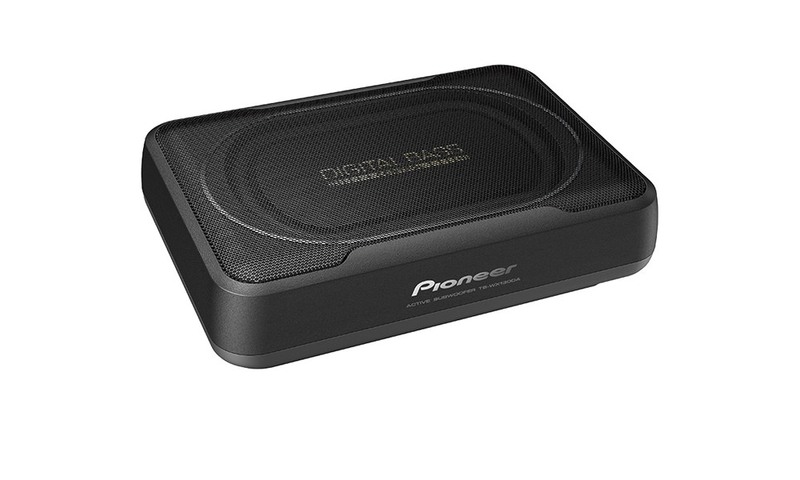 The sealed enclosure design houses a down-firing, thin-line 13.5-inch driver to deliver serious low-frequency impact and sound quality. It contains one 13TW5-3 subwoofer in a sealed enclosure. 600 watt power handling. Wired for 3 ohm mono. A black steel mesh woofer grille is included. Installs under cargo area floor panel. Requires removal of OEM subwoofer, if so equipped. 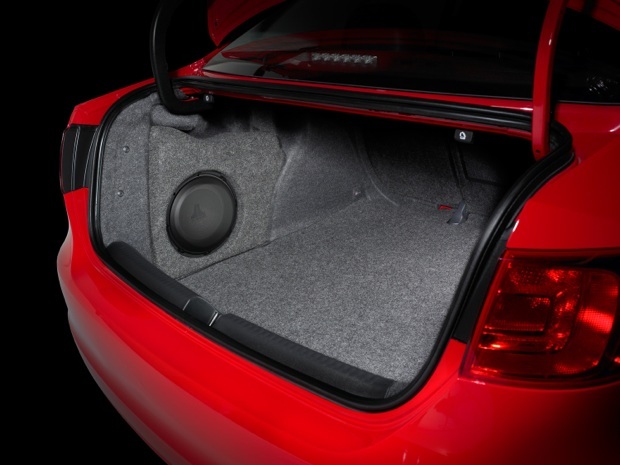 The Stealthbox for the newest Jetta ($599.95) sneaks into the little nook behind the driver side rear wheel and houses a robust 10-inch subwoofer. While the result is visually unobtrusive, the quality and impact of the sub-bass are very impressive. It contains one 10W1v2-4 subwoofer in a sealed enclosure. 300 watt power handling. Wired for 4 ohm mono. Black steel mesh woofer grille is included. Installs in driver-side corner of trunk compartment. 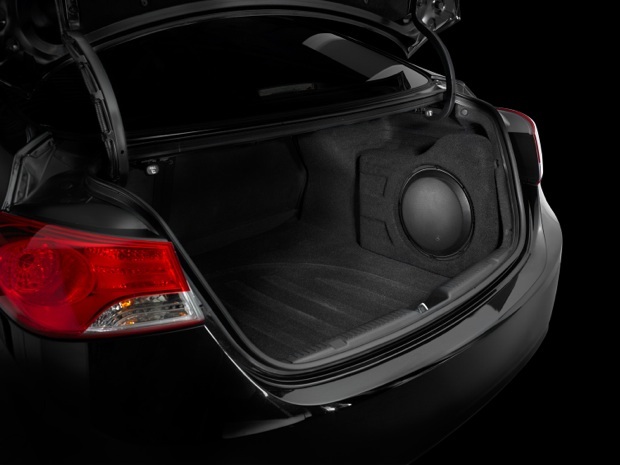 Because a ragtop makes it harder to get really great bass, the Stealthbox for Camaro Convertible ($949.95) uses a pair of powerful 10-inch subwoofer drivers, cleverly packaged to retain as much trunk space as possible, even with a stowed convertible top. 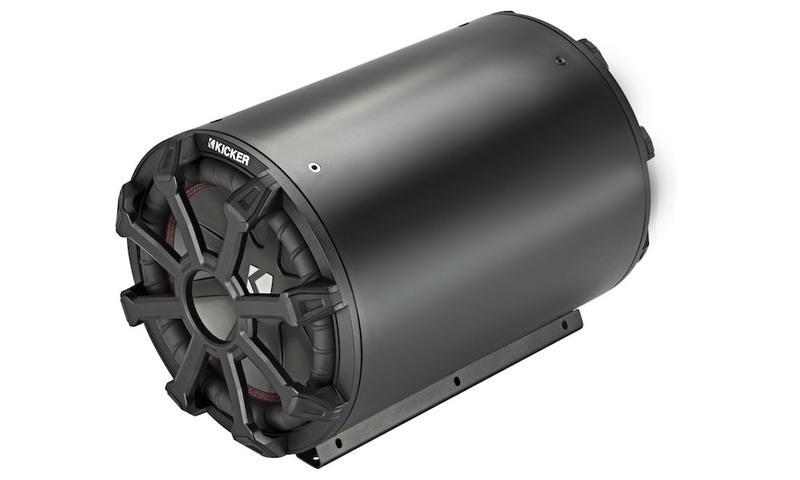 It contains two 10W1v2-4 subwoofer drivers in individual, sealed, down-firing enclosures. 600 watt power handling. Wired for 2 ohm mono. Installs under the rear deck and does not impede the vehicle’s convertible top operation or access to the under-floor battery compartment. JL Audio also offers a complete StealthMod system upgrade for this vehicle, which includes this Stealthbox, a system amplifier, front speaker upgrade and a complete wiring harness. 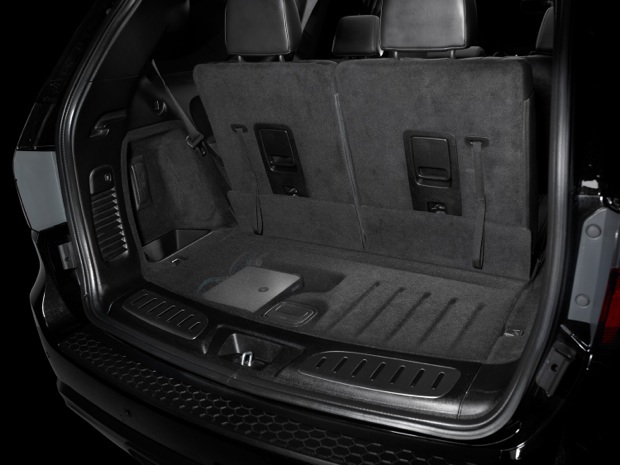 The Stealthbox design for the CC ($649.95, available Q1 2012) sneaks behind the factory trim panel in the trunk compartment, where it remains completely invisible and takes up zero cargo space. Inside is a powerful 10W3v3 driver. Also included is a grille kit for the rear deck to allow the bass energy to enter the cabin with maximum impact and fidelity. 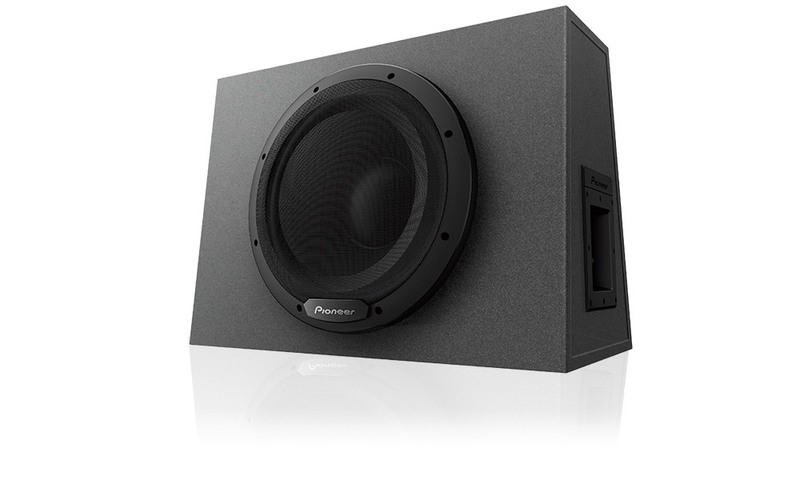 It contains one 10W3v3 subwoofer driver in a sealed, enclosure. 500 watt power handling. Wired for 2 ohm mono. Installs in the trunk, behind factory trim panel. Will not fit V6 models with battery in Stealthbox mounting location. JL Audio’s Stealthbox for Sequoia ($849.95) installs in the small compartment under the floor of the cargo area. 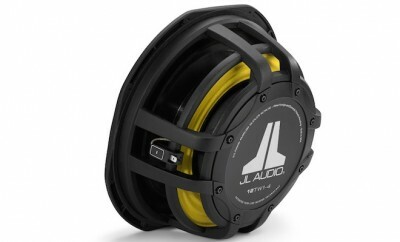 There is only one serious subwoofer driver in the world that will work in such a shallow cavity, and it happens to be the 13.5-inch JL Audio 13TW5. 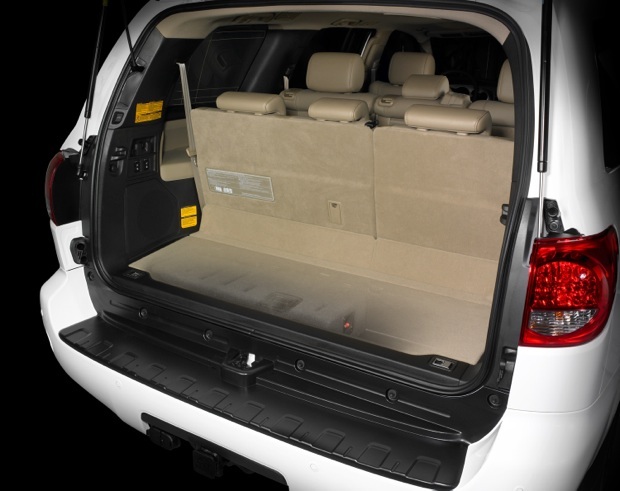 For the Sequoia, it is deployed in a sealed, down-firing enclosure design that fits neatly under the cargo cover, remaining completely out of sight and allowing for full folding functionality for the 3rd row seats. It contains one 13TW5-3 subwoofer in a sealed enclosure. 600 watt power handling. Wired for 3 ohm mono. Installs inside the rear under-floor cargo compartment. Instructions for jack and tool relocation are provided.